With floods, wildfires, and earthquakes, Californians have plenty to worry about. But don’t forget the raining lava. To be sure, the threats posed by California’s volcanoes are by no account imminent. But the terrifying rivers of lava now inching across Hawaii have been a reminder of how devastating they can be. 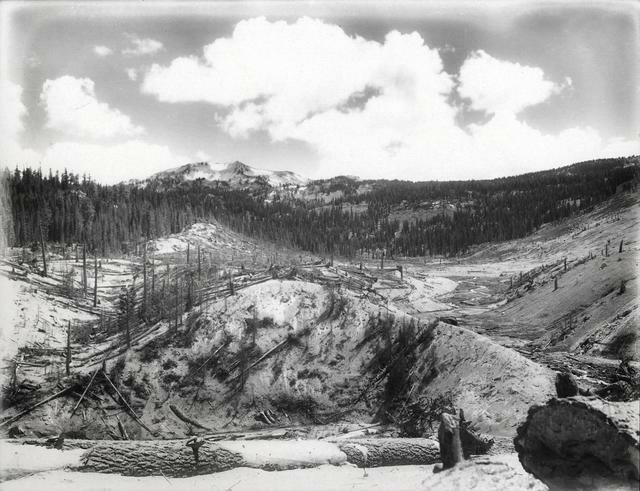 California last experienced an eruption on this week in 1915, when Mount Lassen sent pulverizing streams of volcanic debris down its slopes. The southernmost active volcano in the Cascade Range, Lassen rises roughly 10,400 feet just east of Redding. Between May 19 and 22, lava spilled from the peak, creating waves of rock, ash, and melted snow that stretched some 25 miles, obliterating everything in their path. 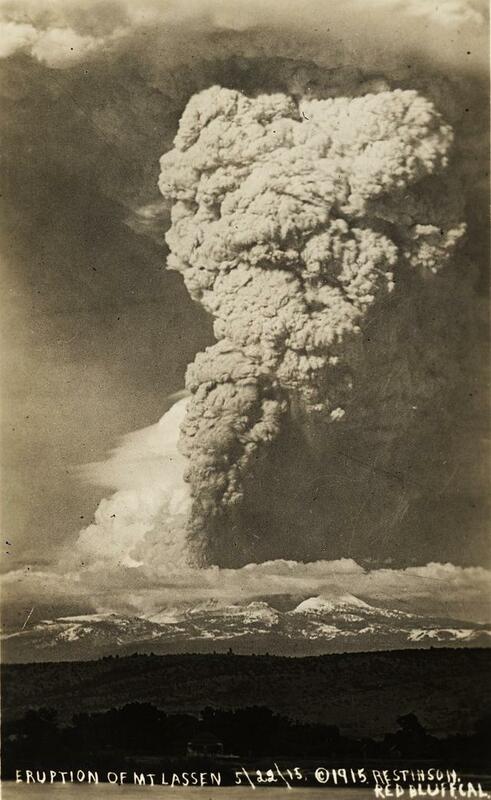 The most powerful explosion happened on the afternoon of May 22, when a volcanic plume shot from a vent and rose five miles into the sky. It could be seen from as far as Sacramento, while ash rained down in Nevada. 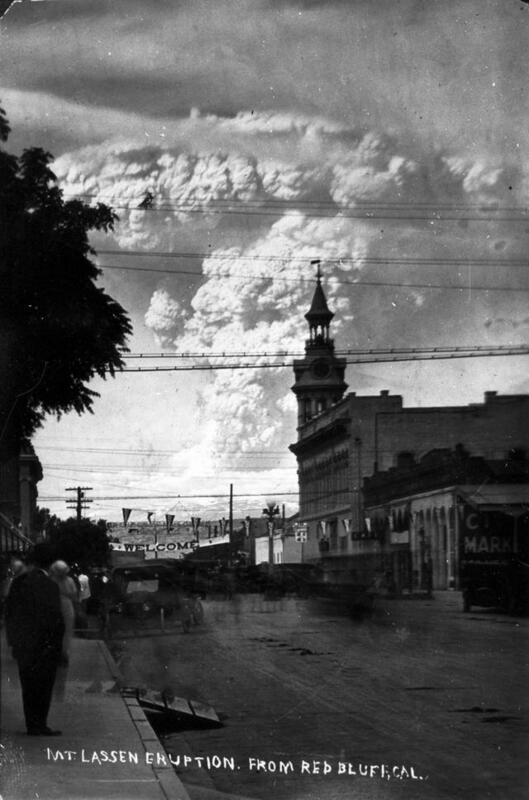 The May 22, 1915, eruption of Mount Lassen seen from Red Bluff, about 40 miles away. Newspapers gave accounts of bridges, barns, trees, and a handful of homes being swallowed up in the cattle-ranching valley below the peak. Thousands of heads of livestock were said to have drowned. Remarkably, there was no loss of human life. And then it was over, a mere blip in geological terms. The much larger 1980 eruption of Washington’s Mount St. Helens, also a part of the Cascade range, was the only other volcanic eruption in the contiguous U.S. during the 20th century. A hundred years after the Lassen eruptions, the area known as the Lassen Volcanic Center may appear quiet, but it is by no means done. Geologists rate the region — along with Mount Shasta, also part of the Cascade Range, and the Long Valley volcanic area in Mono County — as a “very high threat.” Other volcanic areas including those near the Salton Sea and just north of Santa Rosa are considered “high” threats. Scientists can’t make specific predictions about the timing of California’s next eruption. But major volcanic events tend to operate on massive time scales, arriving at intervals lasting hundreds if not many thousands of years. 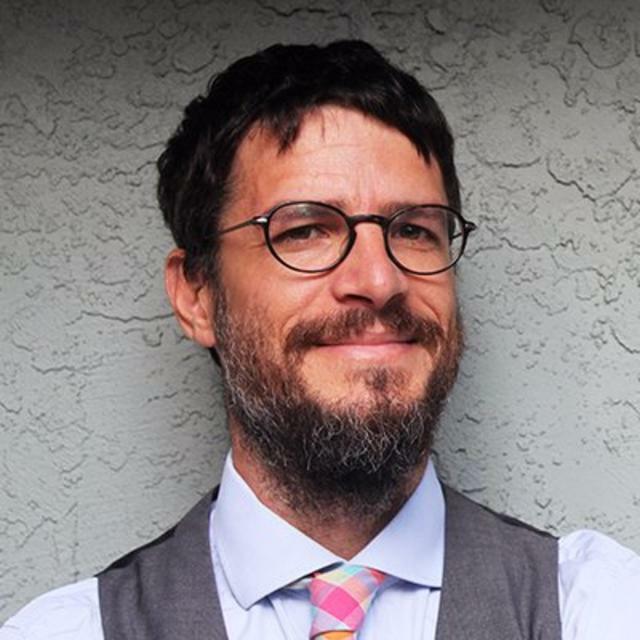 Howard Lucas, an artist who lives and works near the base of Mount Lassen, said that while locals are certainly cognizant of the volcano, the danger is seen as largely theoretical. “So you don’t worry about things that aren’t real yet,” he said. 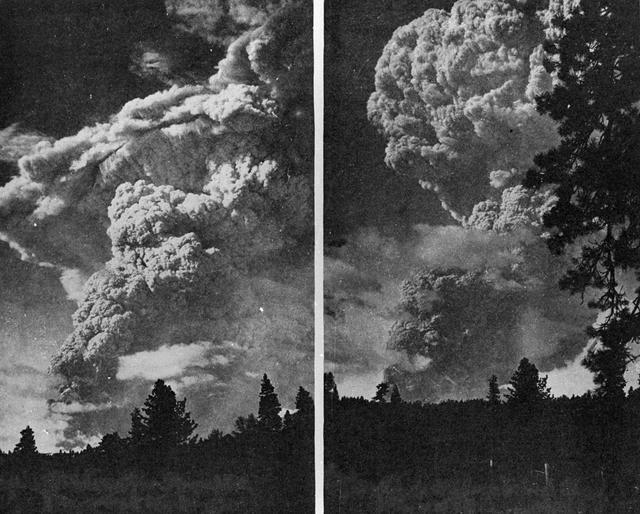 The May 22 eruption of Mount Lassen seen from about 50 miles to the west. The May 22 eruption of Mount Lassen Peak seen from Mineral, about 10 miles away. 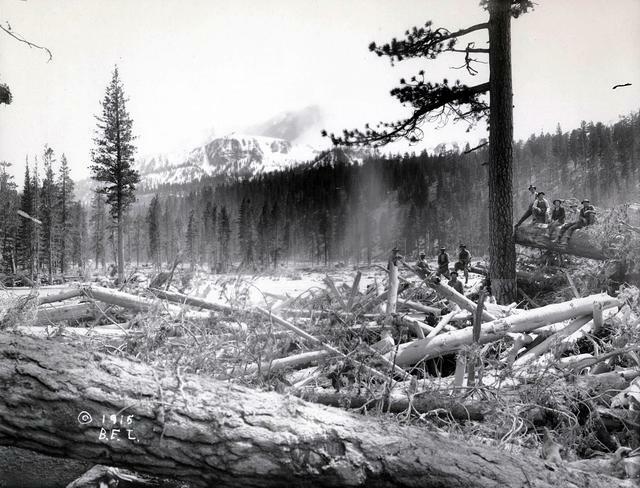 A view of the destruction caused by mudflows below Mount Lassen in 1915.